Fragment of a very rare scrub community remaining in Broward County. Canopy of sand pine or scrub oaks with a subcanopy of saw palmetto, small scrub oaks, gopher apple, and prickly pear cactus. Other groundcovers found in more open areas include Jester lichen, scrub mint, deer moss, rosemary, pawpaw, and staggerbush. Five-lined skink, six-lined racerunner, gopher tortoise, gray fox, northern cardinal, and migratory bird species. 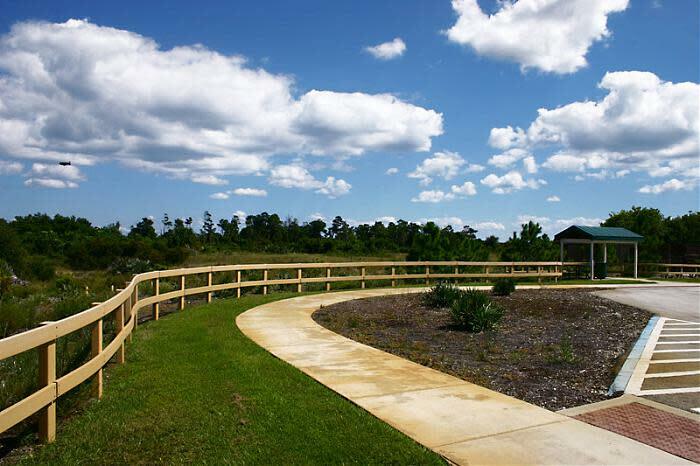 1,800 feet of concrete trail, interpretive signage, benches, and shelter.